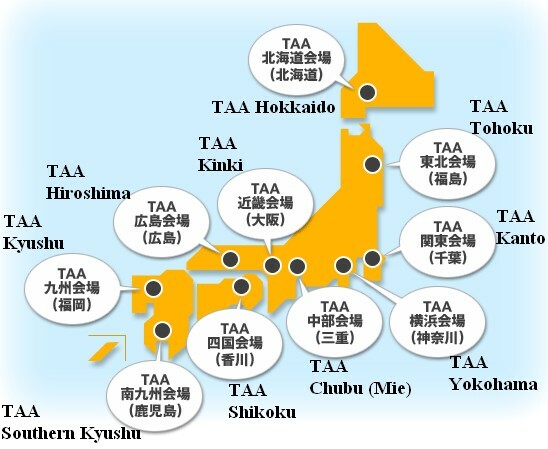 TAA, or Toyota Auto Auctions, one of the larger Japan car auction houses in Japan. TAA Hokkaido. Thursday car auction. Look to add up to 35,000yen extra transport to get a vehicle down to one of the major exporting ports, Yokohama, Tokyo, Nagoya and Kinki ports. If we buy from here, transportation to a local port is generally too expensive. Also this Japan cars auction is in a snowy area so best to avoid. TAA Kanto. Since 2002. 2-3000 cars per week. Thursday auction. Excellent auction. Excellent grading on the cars and some very good quality vehicles available. I would totally recommend bidding at this Japan car auction. TAA Yokohama. Since 2005. 2-3000 cars per week. Saturday auction. The same as Kanto, a good reliable auction with excellent grading of cars. This is not a snow area so rust is not a major issue. Recommend bidding on this Japan car auction as well. TAA Chubu. Since 1999, a new auction premises. Based in the Nagoya area. Thursday auction. TAA Kinki. Osaka region. Tuesday car auction. The Kinki area is the Osaka area and gets very little snow. Well graded cars as in all TAA Japan car auctions. TAA Hiroshima. Tuesday Japan car auction. Smaller auction, but from a non-snowy area. TAA Shikoku. On the smallest of Japan’s 4 islands. Look at paying another 15,000yen of transportation costs to get your car to the closest exporting port, Kinki. Tuesday car auction. TAA Kyushu. Tuesday car auction. Based at the top of Kyushu, Japan’s most southern island. 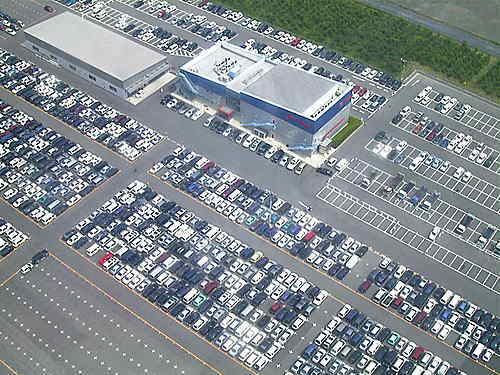 Look to be paying an extra 20 to 25,000yen to get your vehicle up to Kinki, the closest exporting port. The quality of cars would be one of the best in Kyushu amoungst the Japan car auctions. TAA Minami Kyushu. Tuesday car auction. This auction is in the southern part of Japan’s most southern island. Look to pay an extra 30,000yen when purchasing from this auction. In our experience Toyota Auto Auctions tend to be stricter than other auction houses. Once we bought a car that was graded 2.5 in a TAA auction and then resold it in a USS auction where they gave it a grade 3.5! Nothing was done to the vehicle. The sellers in TAA auctions are restricted and in some cases only Toyota dealers can sell their vehicles in TAA auctions. You can bid with confidence in the TAA auctions, being the strictest auction houses in Japan. Get access today to TAA and other used car and truck auctions in Japan. View cars sold in the auctions yourself.